The Special Adviser to Gov. 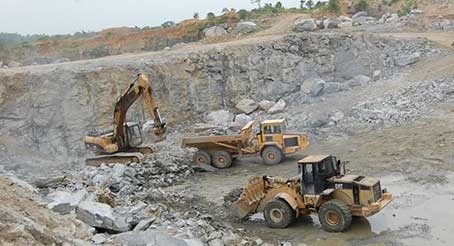 Rauf Aregbesola on Tax and Revenue Matters, Gbenga Akano, who led other officials of the state Internal Revenue Service to the quarry site, said the company owed the state government N1.5 billion tax. Akano said that several letters of demand were written to the company without any result. He said the company left the state government with no other option than to shut down the site, after several meetings held with management proved abortive. ““I think this is not fair and I am assuring you that there is no boundary dispute with Ogun State Government at all on this parcel of land,” Akano said.